Hassan Howa was born in 1922 in Cape Town, into a large working-class family. He matriculated from Trafalgar High School in District Six, after which he worked in the family business. one of 12 children of a Christian coloured mother and a Muslim shopkeeper,also a member of South African Indian Congress (SAIC). As a young man, Howa was deeply influenced by his father Yusuf Howa, who was a prominent member of the South African Indian Congress, which stood for justice, equality and non-racialism.In the community in which Howa grew up, sport played a central role in maintaining a sense of sanity and dignity in the face of oppressive social conditions. His passion was for cricket, a game famously described as “the gentleman’s game of flannelled fools”. After a memorable amateur career on the pitch, he took up the challenge of cricket administration and the promotion of the sport. In 1947, Howa was a founder member of the SA Cricket Board of Control (SACBOC) which worked to promote cricket among the dispossessed and the oppressed.He completed three years of pre-medical training at the University of Cape Town before financial obligations forced him to go to work in support of his family. Howa had experienced poverty and social discrimination throughout his life, so deplored the pernicious impact of deprivation and racism on all aspects of human development. For him, participation in sport was critical for the growth and development of the individual as well as for society as a whole.As the grand scheme of apartheid segregation began to impact on all spheres of South African life, the right to pursue sport became increasingly prescribed. Therefore Howa found it impossible to remain quiet in the face of the naked injustice, blatant inequalities, and the disproportionate allocation of resources of the apartheid state. This is because he believed these injustices were actively eroding the inherent purpose of sport. 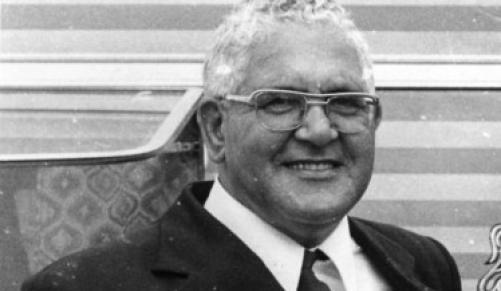 From 1963 he was president for over 25 years of the Western Province Cricket Board.In 1968 SA refused to host a British cricket team that included Basil D'Oliveira,a coloured saSA emigre,Howa moved to the forefront as an outspoken proponent of non-racial sport. Strongly influenced by the political movements of the Western Cape, with its long-standing tradition of principled opposition to racism, Howa reluctantly found himself becoming the voice of equality and of non-racial sport in South Africa, resolutely refusing to co-operate with the apartheid-endorsed cricket establishment.Through SACBOC he led a fearless campaign throughout the 1970s against “white” cricket. Howa galvanized the support of communities and community organizations in South Africa, and with the support of kindred international organizations, the campaign succeeded in ensuring that the Springboks were banned from participation in international cricket.Howa believed that all apartheid sport be isolated and boycotted, and so argued for the creation of an over-arching sports body to pursue non-racial sport. Howa was instrumental in the founding of the South African Council on Sports (SACOS), and as its leader, he lobbied for South Africa’s expulsion from world sport under the slogan: No “normal” sport in an abnormal society.From 1974 to 1981 he was the president of the SACOS.He remained the SACB president until 1987.In 1983 he was named a regional patron of the United Democratic Front (UDF) in the Western Cape. Despite official state harassment and persecution by the security police, who kept a close watch on his movements and activities, Howa never relented on his fundamental purpose and mission. The boycott campaign eventually led to the virtual total isolation of apartheid sport as part of the international political campaign to bring to an end to the apartheid regime.Fiercely independent and unbending in his fundamental belief in a non-racial society, Hassan Howa never gave up his dream that one day all children, whatever their class origin, colour or creed, would have the same opportunities to play sport and to represent their country. He devoted his life to the attainment of the noble goal of non-racism in sport. For his excellent contribution to the struggle for and the development of non-racial sport in South Africa, the South African Government bestowed Hassan Howa with the Order of Ikhamanga in Silver at the National Orders awards on 19 October 2004.